We are the first accredited school by ABK - Brazilian Kite Association. We work with an efficient and safe methodology to initiate the students in the sport. Our season begins in July, becoming ideal between August and November, and the last breezes usually leaves between January and February. Kayaking by the sea can make your stay even more special. BGKite School offers kayak rentals. You can look at Barra Grande from another angle, take a walk in the mangrove and practice the sport in the middle of nature. 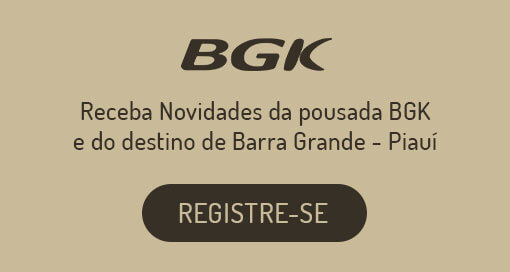 Check out what Barra Grande reserves for you! It offers typical options of the region, from rustic to sophisticated, with a focus on seafood. Ideal place for sports lovers. Highlight for kiteboarding, stand-up and kayak. The village is known for its tranquility, but has night options for entertaining. Seahorse tour, Cashew Tree King , and Manatee observatory are some of the options tour in Barra Grande.